NewMusicShelf and Black Tea Music present an evening of new art song for mezzo-soprano and piano. 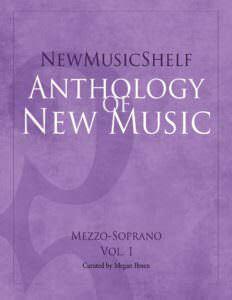 Mezzo-soprano Megan Ihnen and pianist Marianne Parker perform the 20 songs collected in the NewMusicShelf Anthology of New Music: Mezzo-Soprano, Vol. 1. Featuring art songs by: Michael Betteridge, Mark Buller, Stephen DeCesare, Douglas Fisk, Matt Frey, Jodi Goble, Ricky Ian Gordon, Cara Haxo, Cameron Lam, Cecilia Livingston, Shona Mackay, Tony Manfredonia, Nicole Murphy, Eric Pazdziora, Frances Pollock, Julia Seeholzer, Alan Thiesen, Dennis Tobenski, Moe Touizrar, and Ed Windels. American mezzo-soprano Megan Ihnen is recognized for her colorfully rich tone, powerful performance skills, and insightful musicianship in a diverse repertoire ranging from Brahms, Schubert, and Handel to the modern sounds of Crumb, Schwantner, Cage, and the most up-and-coming composers of her generation. Megan is a new music force of nature. A prolific new music artist, Ms. Ihnen has appeared with the International Contemporary Ensemble, Fifth House Ensemble, Latitude49, Great Noise Ensemble, Stone Mason Projects, Rhymes With Opera, SONAR new music, and more. She has sung with many outstanding performers including Nadia Shpachenko, Nicholas Photinos, Michael Hall, Gregory Oakes, Holly Roadfelt, Nick Zoulek, Hillary LaBonte as well as premiered the work of Mara Gibson, Griffin Candey, Garrett Schumann, Christian Carey, Alan Theisen, Anna Brake, D. Edward Davis, Anthony Donofrio, and more. Ms. Ihnen has upcoming engagements on the SPLICE Festival 2018 and Winifred M. Kelley Music Series at Salisbury House. She has appeared with ÆPEX Contemporary Performance, Detroit New Music “Strange Beautiful Music Marathon”, Omaha Under the Radar Festival, Works and Process at the Guggenheim Series, Notes on Fiction Series at the Center for Fiction, New Music Gathering, Contemporary Undercurrent of Song Project, American Opera Theatre, Vivre Musicale, UCCS Music/Peak Frequency Creative Arts Collective, Harford Community College Sunday Afternoon Concert Series, and Silver Finch Arts Collective. As a chamber musician, Ihnen has been featured at impuls International Ensemble and Composers Academy for Contemporary Music, Summer Institute for Contemporary Performance Practice (SICPP), Fresh Inc Festival, Bang on a Can Summer Music Festival at MASS MoCA, and MusicX. Ms. Ihnen is also a founding member of the Seen/Heard Trio along with harpist Jennifer R. Ellis and flutist Erika Boysen. The Seen/Heard Trio’s model is dedicated to excellence and creativity in teaching and learning, immersive performance, audience experience, and developing the repertoire for the instrumentation of flute, harp, and voice. As musicians and recording artists, Seen/Heard Trio is devoted to featuring rarely-recorded or never-recorded composers. Ihnen’s interpretations of modern and contemporary repertoire have garnered growing acclaim. She is particularly recognized as an excellent recitalist. Her This World of Yes program of contemporary music for voice and saxophone with Alan Theisen explores the themes of pathways, choices, and duality through the work of contemporary composers such as Jessica Rudman, Michael Young, and Michelle McQuade Dewhirst. This World of Yes has been performed in Iowa, Missouri, Indiana, and will go on a Southeastern states tour in 2017. With performances in Washington D.C., Baltimore, Colorado Springs, and Kansas City, Ms. Ihnen has worked with violinist Martha Morrison Muehleisen and Rome Prize winner video artist Karen Yasinsky to take audiences on a profound journey through György Kurtág’s Kafka Fragments through video and sound. Finally, Ihnen’s Single Words She Once Loved is a performance that centers around the ideas and effects of memory, dementia, and time. It is a deeply personal exploration of the dueling forces of ‘eternal sunshine of the spotless mind’ and ‘God gave us memories so that we may have roses in winter.” Single Words She Once Loved features compositions by David Smooke, Ryan Keebaugh, Daniel Felsenfeld, Jeffrey Mumford, and more. 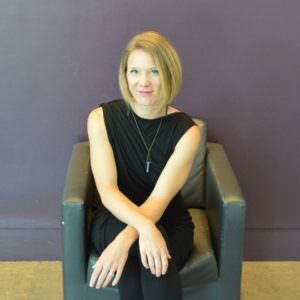 In the spring of 2017, Ms. Ihnen undertook a fundraising project for her first album, “Sleep Songs: Wordless Lullabies for the Sleepless.” She commissioned over 25 diverse composers from the United States and abroad to write brief, wordless lullabies for mezzo-soprano. Megan has also had recordings on the I CARE IF YOU LISTEN Fall 2015 Mixtape and the CarpeDM Seize Des Moines “Music Mix: Volume III” which was featured at the 2016 SXSW Festival. Ihnen was honored to receive a Phyllis Bryn-Julson Award for Commitment to and Performance of 20th/21st Century Music in 2009 and a Maryland State Arts Council Individual Artist Award in Classical Music: Solo Performance in 2014. She was an accomplished violist and drama student before pursuing degrees in music and vocal performance from Augustana University and the Peabody Institute of Johns Hopkins University. Ihnen has been a board member for Baltimore Concert Opera and HOWL performing arts ensemble. Ms. Ihnen is a devoted teacher who shepherds studios at Drake University Community School of Music, Southwestern Community College School for Music Vocations, and Graceland University. 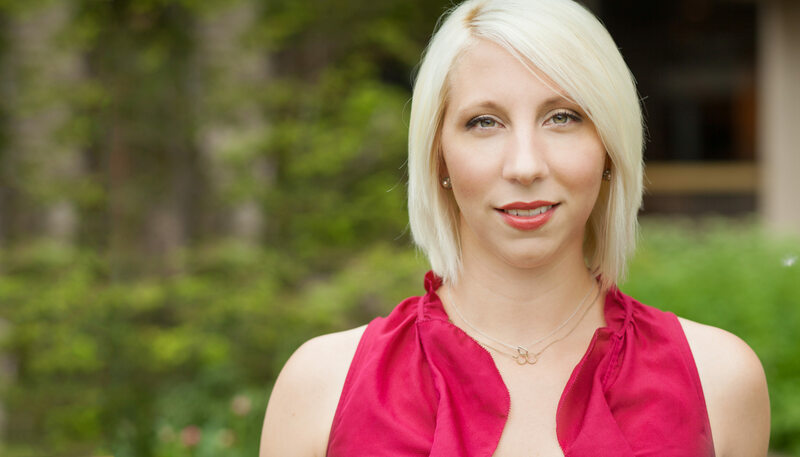 She has also been a resident faculty artist for the UMKC Summer Composition Workshop. In addition to UMKC, Megan has presented her popular masterclasses, workshops, and lectures at the New Music Gathering, Iowa Thespian Festival, UNCG Greensboro, and Florida Atlantic University. In addition to being a avid podcast listener, Ihnen enjoys drinking coffee, joking around with her sisters, tweeting about contemporary poetry, and watching Law & Order. She has grand dreams that one day her dog, Hunter, will be the best dog in the neighborhood. She lives in Des Moines, IA and out of her suitcase equally. Marianne Parker is an award-winning pianist and educator, in demand internationally as a soloist, chamber musician, and orchestral pianist. Her debut album, Pages intimes, to be released in fall 2018, features recently discovered works by Haitian composers. Recent engagements have taken her to Singapore, Montreal, and NYC. Marianne has performed in Chicago’s Symphony Center, both as principal pianist of the Civic Orchestra and as soloist. Her work has been featured on WFMT’s Salon Series, and in prominent venues throughout the city. Marianne’s work is driven by her passion to communicate the vibrancy and variety of classical music, especially to those who have yet to discover it. Marianne is on faculty at the Music Institute of Chicago, where she enjoys sharing the joy of music with students of all levels. Outside of her musical activities, Parker is an avid cyclist, hiker, and runner – having toured most of the west coast by bike with her husband, and hiked several of Colorado’s 14,000 foot peaks. She is also an active animal advocate, volunteering with the dog and literacy advocacy organization Sit Stay Read, as well as raising funds for Chicago’s PAWS animal shelter during the Chicago Marathon.